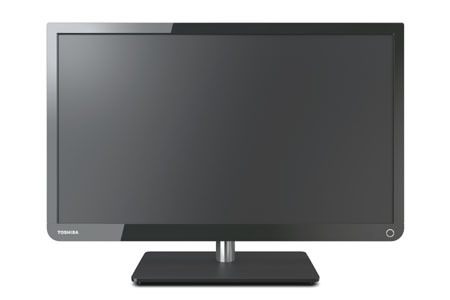 The 39 inch 39L1350 from Toshiba covers the mid sized budget television class. A 39 inch television is perfect for medium to small rooms. This is the perfect TV for those looking for size, but not willing to spend the extra money on a lot of extra features. The loss of many picture quality features is what really brings the price down. The exclusion of smart TV and 3D features may not be as big a deal as 120Hz processing and micro dimming. The L1350 features a 60Hz panel that will handle most programming without a problem, but sports and some fast action scenes may contain some motion blur. Some aren't bothered by it or don't notice it. If that is the case, this Toshiba is a good option. The 39L1350's picture quality is limited by its budget status. All of the mid to top tier picture quality features have been dropped to attain the budget value. You end up with a TV that will perform well in the office, guest room, or kid's room. In other words, you aren't going to find a TV suited for the home theater in this one. That's not to say it is a bad choice, but it lacks in two main areas. We found that the picture quality largely depends on the source material. A standard definition signal is just not going to look very good compared TVs that do a good deal of upscaling. Color is another area where this TV struggles. Color accuracy more specifically. Colors may appear bright, but the level of realism doesn't compare with the mid to top level TVs. The L1350 goes with black coloring instead of the stylish gun metal of the other TVs in Toshiba's lineup have recieved. The frame has square edges on the top and rounded edges on the bottom for a streamlined appearance. The stand is a black plastic square with rounded edges and the arm holding the screen up is round and silver. It's a good look for a budget television. The 39L1350 has received an Energy Star certification. That really just means energy consumption remains at low levels to keep the electricity bills in check. LCD/LED TVs have always been the leaders of energy consumption over plasmas and other types of displays. Energy Star LCDs take a few extra measures, like brightness adjustmenst and Energy Star modes, to become certified.